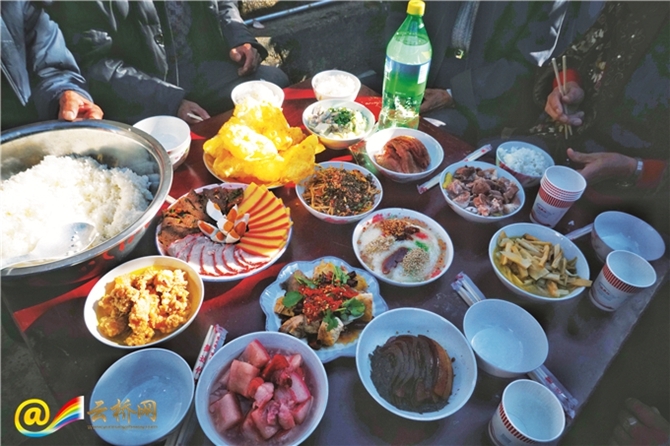 On the wedding day of Bai people, traditional musical band will be invited and local delicacies like cakes and sweet dumplings will be prepared and rice wine is also indispensable. 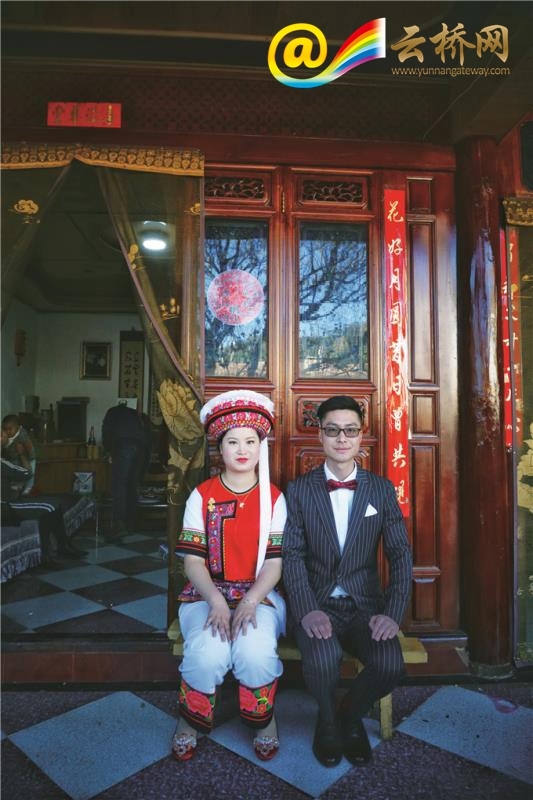 During the wedding ceremony, the most surprising is that as the bride enters the groom’s house, an elderly man will take a stick of incense and circles around groom's eyes. Before the couple realizes it, a handful of pop rice will be scattered onto their faces. This is called “burning the eyebrows and throwing pop rice”, expecting to bring blessings, good harvest, and dutiful descendants. 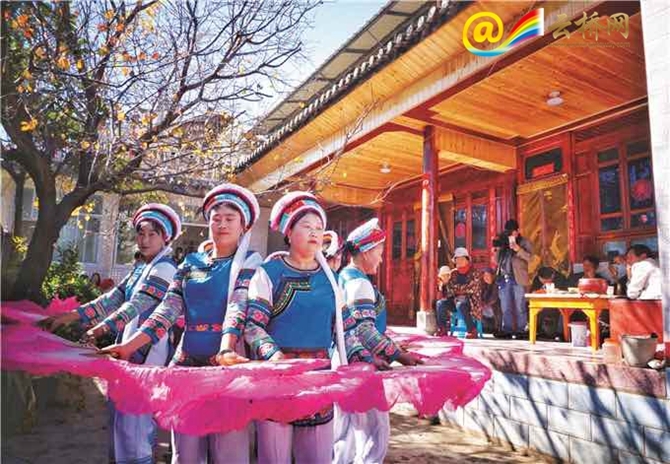 For the bride, the biggest “trouble” is from the children participating in the wedding ceremony. As she arrives at the groom’s home, the children will swarm up to pinch her with their hands. Bai people consider the pinching as blessings, so even if it hurts, the bride can't get angry. 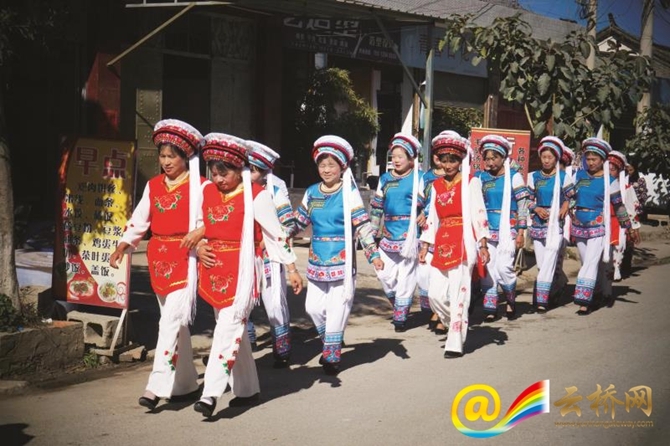 In some areas inhabited by Bai people, the second the groom-escorting team enters the door, the bride and groom would compete to run into the groom’s chamber to grab the pillow. It is said that whoever grabs the pillow first would have more say in their future life. During the ceremony, bowing to the elders is also a necessary part. After the bride and groom bow to the elders of the family, as a courteous response, the elders must say some words of blessings and give the newly-wed red envelopes.